Can Big Data really boost store growth? Retailers of all sizes have realized they’re in a battle. More than that, it’s a war for survival. Giants like Toys’R’Us are struggling to survive. Many others are closing stores, at a rate three times higher than last year. Customers are turning to whoever offers the cheapest deal, the fastest or cheapest shipping, or the widest choice. And through all this, Amazon seems to be growing inexorably, cementing their position as the go-to vendor of everything from household goods to groceries. Faced with this unprecedented opposition, retailers need to come up with a survival plan to retain their customers’ loyalty and stop the erosion of their market. Many have simply taken the Amazon vendor route and have settled for paying Amazon a percentage of their sales to stay in business. Others are cutting prices in an attempt to remain competitive, but it remains to be seen whether that is a viable long-term financial strategy. However, there are some retailers who have realized that survival - and even growth - does not lie in business as usual or fire sales. For prestigious or niche brands, that would be tantamount to admitting defeat. Instead, their future lies in innovation. 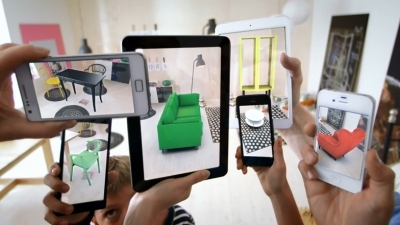 Companies like IKEA are using technologies such as augmented reality to create exciting new customer experiences. Levi’s are investing in chatbots to help users find the right jeans. Others are developing new in-store tools, such as mobile or checkout-free payment systems, automation, or equipping store staff with sophisticated tablet-based apps. However, technology alone isn’t an end in itself. It needs to create an improved service that makes customers want to keep coming back, even when they know there are cheaper or more convenient options. Great customer support and personalization are rapidly becoming a necessity: customers want that feeling of personal service and attention. They expect to see offers and deals that reflect their personal taste. They expect answers 24/7, no matter if it’s 2am on a Sunday morning. And they expect to know exactly what’s going on, tracking their online order from the moment they place it, all through the shipping process, to the moment it arrives at their door - even if they’re at work. But for some companies, that’s not enough. Swedish fashion company House of Dagmar has taken the radical step of inviting their customers to participate in every stage of the business. They have been using technology to reinvent themselves and their brand, with pioneering initiatives such as Fashion Hackathon Stockholm. Now, using a new mobile app called Truly Techno launched during Stockholm Fashion Week, they’re asking customers for their input and advice on everything from what colors to use on specific items of clothing to issues of business development. In some ways, this is just a logical extension of the concept of “radical corporate transparency” that began to take root about ten years ago. It was initially seen as an alternative way to deal with negative publicity: instead of trying to cover up problems, companies should be honest with customers about what went wrong and show how they were addressing the issues. As the concept gained acceptance, more and more companies started blogging about what was happening behind the scenes, engaging customers via social media, and trying to develop a friendly, human face. A few years later, the benefits of radical transparency were being incorporated into general business practice: being transparent with your staff helps them do a better job. This level of close customer communication will have three important effects. First, it ensures that the customers’ values and the company’s values are strongly aligned. Second, it ensures that House of Dagmar owns the channel by which they communicate with their customers, ensuring that they have complete control over that relationship. And third, it gives customers a sense of ownership over the company and its products, and a feeling of belonging. They know that House of Dagmar is listening to them, and they can be confident that the Dagmar sisters will always have their customers’ best interests at heart. They’ll never get that feeling from a $500bn behemoth like Amazon. House of Dagmar’s approach may well point the way for other niche or prestige brands. Larger companies with huge customer bases will find it hard to establish a meaningful level of customer engagement, and they risk being driven by a tiny but vocal minority. But for premium brands with a devoted following, this will ensure that they deliver a unique customer experience that is perfectly tailored to their very specific market.